Ink Illusions was founded in 2017 by laser technician Zena Bratcher who has a passion for changing lives. Initially concentrating on laser tattoo removal, hair removal and skin rejuvenation through Laserlux UK, Zena created Ink Illusions having seen how much medical tattooing can transform people’s lives and bring back confidence. Zena has done training with both The Finishing Touches Group and Scalpology who are renowned for their excellence and years of experience. Ink illusions specialises in medical tattooing for (1) Scalp Micropigmentation to help you defy hair loss and re-invent the way you look, (2) Scar camouflage, to bring back your confidence (including stretch mark camouflage) and Areola tattooing for women following breast surgery. 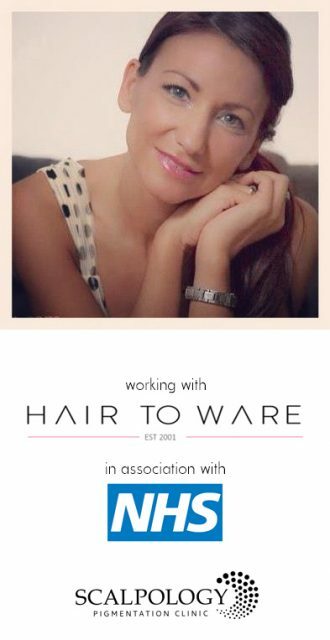 Ink Illusions is proud to work with Hair To Ware in association with the NHS, providing a clinic for cancer and alopecia patients. At Ink Illusions, it is YOU that matters. We pride ourselves in making people happy and understand that hair loss and scarring can cause loss of confidence. We will do everything we can to help meet your requirements and bring back your self-esteem. At Ink Illusions we are reassure you that you will receive a first-class treatment with a very personal approach.